The world's religions, spiritual and indigenous traditions refer to the One by a myriad of different names and by no name at all. Those differences deserve to be respected, and yet they don't matter. The One is the One no matter what name we use. Listen in and explore how life can be a pilgrimage of ecstatic joy and deep belonging when we learn to embrace our sense of alienation and profound despair and move into compassionate service in what Rev. Charles Gibbs calls, "This wondrous and wounded world." The Rev. Canon Charles P. Gibbs is an Episcopal priest, visionary and poet who has dedicated his life to serving the sacred in the world, especially through interreligious and intercultural engagement. 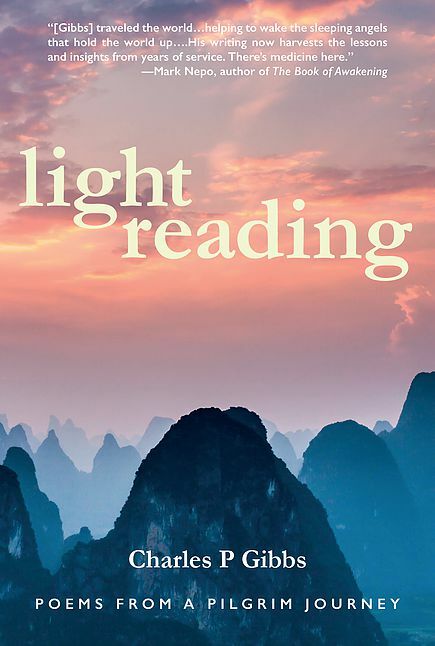 His new volume of poetry, Light Reading: Selected Poems from a Pilgrim Journey, is an inspiring reflection of the mystical grounded in everyday life. He recently became Senior Partner and Poet-in-Residence for the Catalyst for Peace Foundation. From 1996 until his retirement in 2013 he served as the founding executive director of the United Religions Initiative. As executive director he worked with thousands of colleagues around the world to guide URI's growth from a vision to becoming the world's largest grassroots interfaith network.